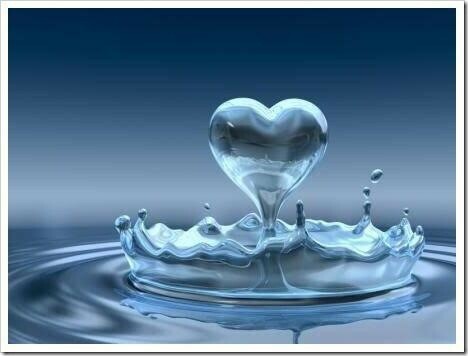 But I knew within my heart….that I had. It had all started when I hit that ‘Enter’ button on my keyboard…one email to the boss – and I had finally said goodbye to a career of 14yrs and 9mths. Then again, it wasn’t really just a career….it was my life, my family that I had chosen, my heart and soul. 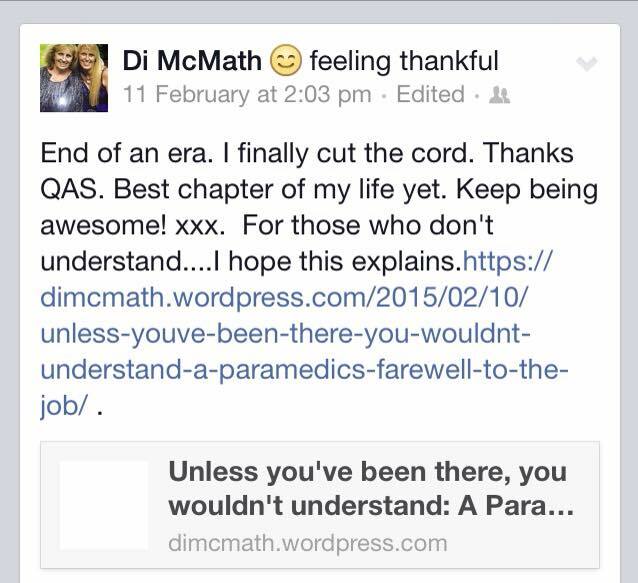 So here it was…my Facebook post to my friends, family and colleagues about why I finally resigned from my career as an Advanced Care Paramedic within the Qld Ambulance Service. Because ‘Unless you’ve been there, you wouldn’t understand’ I would think in my head. I knew that it was a healthy decision for me to leave. I knew the signs, and I didn’t want to end up ‘broken’ and ‘unfixable’. I actually give myself a pat on the back for knowing when enough was enough…..even if I am now swimming solo in the ‘owner business’ world and surrounded by uncertainty!!! So…. I linked the blog onto my Facebook page, and then had several moments of contemplation “Do I? Don’t I?” “Are they going to think any less of me? What if I get judged now more than ever, after posting it?! !” But I just had this overwhelming feeling that I needed to spill my guts, blurt the words out and explain, because if I didn’t….it would continue to sit inside me and ‘fester’ forever. I just said thank you and goodbye to an awesome chapter in my life. 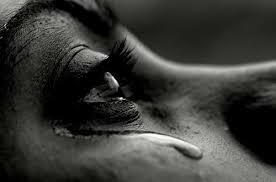 I was allowed to cry….after all, it was like ending a relationship! Probably one that I’d hung on too long with, (I was never any good at ending those either- so no wonder it took me months and months to create the courage! Ha ha) but nonetheless! So I took a deep breath, and started getting on with my day. One after another, I was getting notifications that my friends/family were leaving lovely messages on my post. Then – I started noticing something. The blog was getting ‘shared’….and not just around my mates. Wow. Really? – I was thinking. 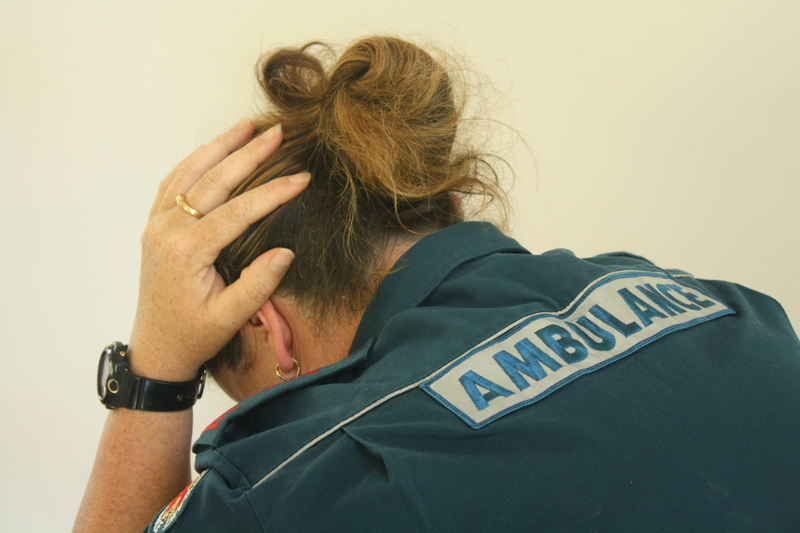 Turns out, my deepest thoughts and raw feelings about my last few years as an ‘Ambo’ – resonated with so many others within health organisations and emergency services around the world. I think it surprised me as much as it surprised everyone reading it. Dumbfounded at the thought that just by ‘being honest’….it obviously struck a chord with others. There was obviously others struggling out there. Then poured in the emails, Facebook messages and comments on the actual blog. People were saying ‘Thank you!’……surprisingly – this still confused me. “Thank you?” I thought. “What for?” – But as I read on, message after message – it was quickly sinking in to me, that my thoughts and feelings were not ‘just mine’. 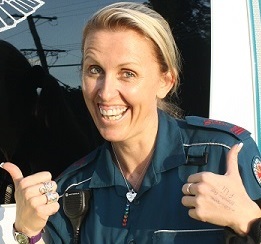 Even family members of emergency service workers – thanking me for sharing my story, because they now “Get it”. And then, a few days later….the unthinkable happened. Whilst on my way out to dinner, my phone began ringing through Bluetooth in the car. At the other end of the phone, was the sombre voice of my best mate in the service…..
”Have you read my message buddy? And just in that moment……………I think my heart stopped momentarily. My foot came off the accelerator and I started to pull over. Suddenly that awful feeling in the pit of my stomach when I was told on those few occasions….of people I cared about – ‘gone’. And then…as quick as those feeling entered my body, the next feeling came over like a tidal wave. Did I do this? Were my words too honest, and caused her too much more pain? Then, reading a posts from other websites, I learnt of some of the immediate details prior to her passing. Now, I didn’t know her– and out of respect for her loved ones – I will not post any details, but after reading so many posts from people who obviously did know her…..she sounded like she truly was an ‘angel on earth’. A dedicated officer, and a big advocate for helping other staff members. So, – like so many others have suggested to me since….. There can be so many ‘maybes’ and ‘what ifs’….but she will be the only one that will truly know what led her to that fatal and devastating decision that day. And to all of those who in the past –who have fallen at the hands of their dreaded demons…. Their death was not in vain either. They are ‘family’…and I’d like to believe that families stick together. Families may have their ups and downs and bitter disputes, but as a ‘family’….when someone is sick, injured or in need of help – they come together and are there for each other. my hope is for one thing…. WE WILL ALWAYS BE THERE FOR EACH OTHER. If you fall over and cut yourself, – there are visible wounds. However, the emotional and mental scars that exposure can cause (and I won’t say ‘overexposure’ – because it’s different for everyone) ….can often go unnoticed by colleagues/friends/family. It can commonly be hidden (or even brushed off by the victim – for fear of feeling ‘weak’ or other various reasons) and sadly can be a lot harder to treat than visible wounds. Then there’s the issue of if they are actually noticed by anyone. They are the ‘Invisible Wounds’. 1. Stick your hand up. If you don’t feel like you can speak the words….then have a ‘CODEWORD’ with a mate. A word that….if either of you were to say it – that the other will just know – that you’re NOT OK.
You could even make yourselves some RED and YELLOW cards. Like in soccer (Football – for my UK friends). So that if you get to the point where you feel like you need to ‘off load’ something – or take some time out…..you can just hold up your yellow card without having to say a word. Because I’ve been there, and sometimes the first step can feel like it’s not a step at all – but more like a giant leap across the Grand Canyon! We are all there to support each other, and there is professional help only a phone call away. Hopefully – when the time comes to hold up your ‘Red’ card…the decision is yours, and it’s a healthy and happy one, and it’s not because you are broken beyond easy repair. And I mean ANY issue that’s causing you stress….because let’s face it – it’s not only what you see in the job that can take its toll on people. Relationships, finances, health (your own and/or others close to you), career, ANYTHING at all – can cause an overflow of stress and pressure onto other areas of your life. …..please put your hand up! 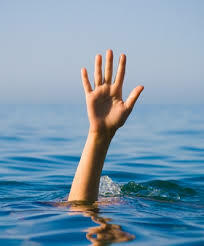 When a swimmer needs help out in the ocean…..what do they do?!!! They put their hand up!! So ‘put your hand up’….you’ll be relieved you did. I am also suggesting that – as a ‘united family’….we make a slight shift in the way we have been looking at things, in an attempt to make a BIG positive shift in the outcomes. I mean – whatever you focus on….you tend to get more of, right? So, what if we were to focus on building staff ‘Resilience’? – As opposed to putting the words out there of: preventing suicide? I’m talking about building resilience in general. We all have a range of categories in our life- and if the scales aren’t balanced in one, it can have a catastrophic flow on effect to the rest. Because when you think about it….if you know anything about defensive driving, if you focus on hitting the pole (when you’ve lost control), where are you most likely to end up?! – that’s right….hitting the pole! Yet, if you focus on where it is that you want to go, then you are more likely to go there! So, if we think of it as like exercising our ‘Resilience muscle’ (metaphorically, – obviously! )– so that it becomes stronger and more of a natural habit to respond with…. Then when an event happens in our life (work/health/relationships/finances – anything), we are more likely to know what to focus on – to get us on the path to a happier/healthier mind. By putting systems in place such as things like: mandatory ‘therapy/counselling/emotional ‘dumping’…. (whatever you want to call it) throughout your career, then we’d possibly be preventing staff suicides anyway wouldn’t we? And I say mandatory so that it takes away stigma – that pressure of having to make that ‘sometimes difficult decision’ when something is given as an option. 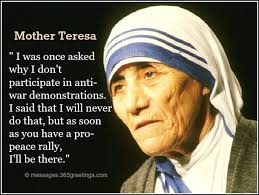 You know…like when someone might feel like they want to go to something – but they are worried about what other people might think of them if they do? Isn’t it interesting that as adults…..this still occurs?! And don’t get me wrong…..I would love nothing more than to be able to read a research article when I’m 80yrs old, telling me that statistics have shown that there has never been any suicides amongst the emergency services wider community since early 2015. Because after losing friends/colleagues in the service, and a family member – I’m quite aware of how it feels to have lost someone this way. I just think it might be helpful to change our perspective on how we try to prevent it. So -here’s an example of what I’m trying to say…. Imagine that your life was represented by you being the driver of your own truck. 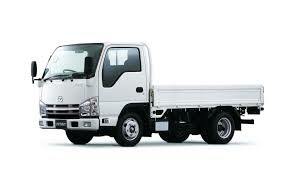 Now that truck you are driving –picks up your emotional baggage along your journey of life. 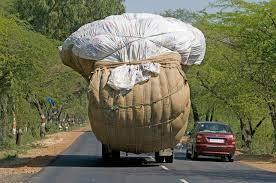 The chances of your truck becoming dangerously overloaded, and potentially ‘detrimental to your quality of life’ – are pretty real, if you don’t have sensible ways to offload some of that baggage. You may CRASH at some stage, if you aren’t sensible with the ‘load’ that you are carrying. 1. Take note of your current reality. See your life as a whole. Is any particular area ‘weighing you down’ with its baggage? See it exactly how it is. Take each category one by one – don’t try and look at it all as ONE …there are several areas of our lives. (Eg: don’t try to eat the pie whole – cut it into slices, to make it more manageable). So – does it feel a bit out of control? A friend, a colleague, a family member, a counsellor, your boss, a church member…..literally anyone can be a sounding board for you – and if they don’t know how to help….then they will probably be in the right frame of mind to find someone who does. So notice what type of people they are! Are they whingers, whiners, negative, self-absorbed type people? You know….the type that leave you not feeling very uplifted when you leave their presence? Are they light-hearted, fun to be around, always happy/smiling, positive people….who leave you feeling light and uplifted when you leave their presence? Every day, set aside 5mins (at the same time every day) – and write down at least 3 things that you can be grateful for. Make it specific. The more often you take the time to make your mind search for things that you have in your life to be grateful for…the more often it will naturally gravitate to looking for the wonderful things in life. It’s the little things in life that you look back on – and realise that they were actually the big things! There is plenty more steps to take….but at least here is a start, and I hope it helps. . – we are all family. 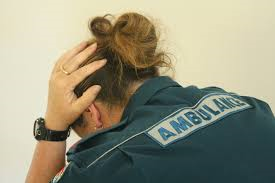 My promise to you is – that now as a ‘former Paramedic’, I will not only be there to support – but I will do whatever I can to help support staff in creating and maintaining healthy ‘mindsets’. Stay safe out there – and always look after yourself first. Di McMath is a qualified Life Coach and Neuro-Linguistic Programming (NLP) Practitioner and Author, who has a passion to help educate others on how to live their best lives. Having founded ‘Platinum Potential’, she now conducts workshops that help to ‘maintain healthy mindsets’ through various coaching and NLP techniques. With her ‘Emergency Services’ background, she has a keen interest to enrich the lives of emergency personnel through building resilience via her inspirational coaching and compassion. 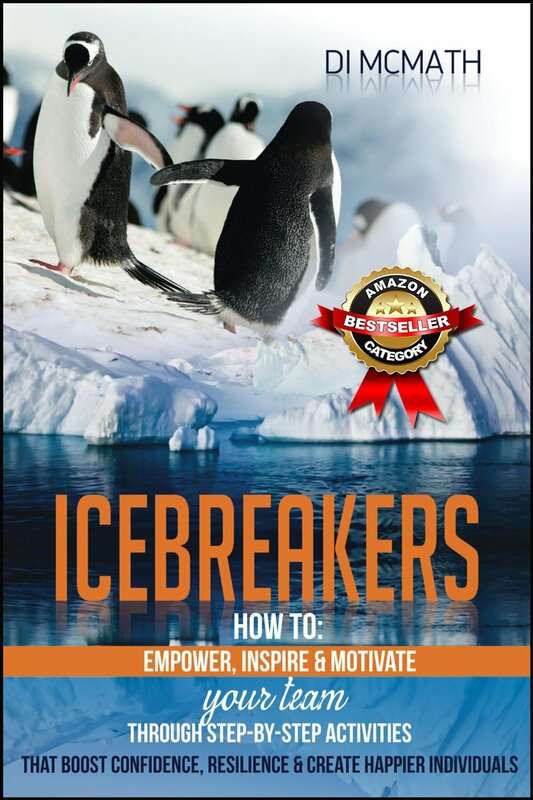 Di has just released her first book – and it’s become an ‘Amazon.com Number 1 Best Seller’!